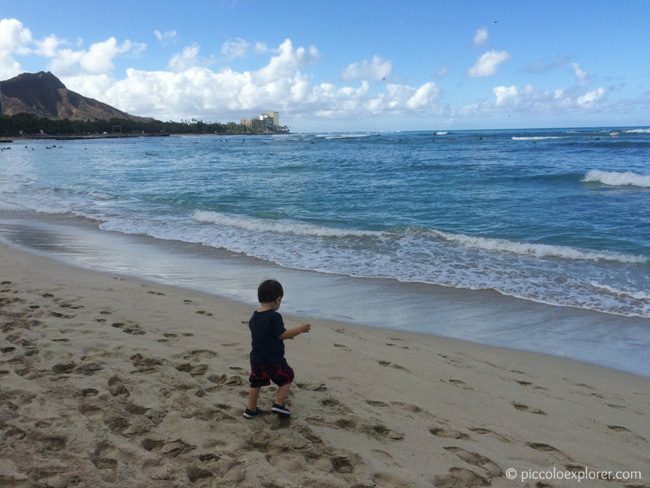 While going on holiday with a toddler can be more tiring than relaxing, it’s a lot of fun when there’s so much to explore especially in a very family friendly destination like Oahu, Hawaii. There are plenty of activities to keep your little one entertained and you’ll easily find high chairs, kids’ menus and changing stations at restaurants (and in some hotels, toddlers eat for free with purchase of an adult’s meal). 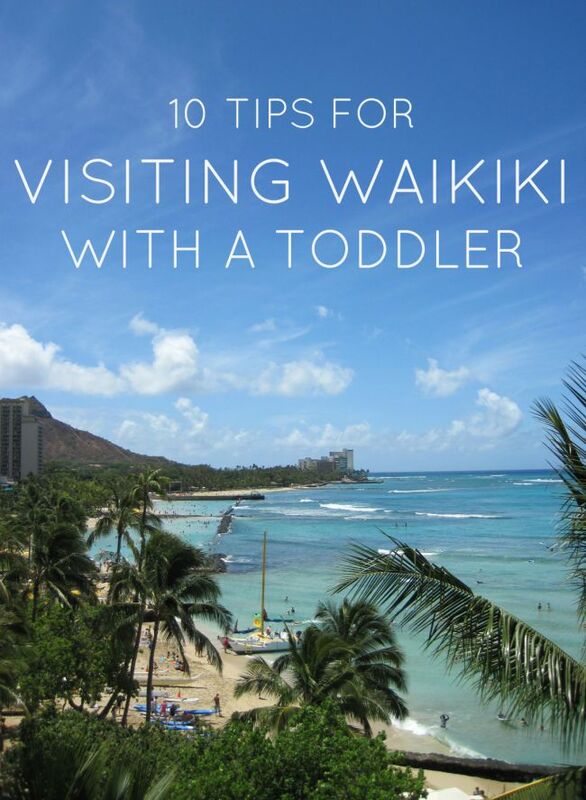 Whether you’re staying in Waikiki for a couple of days as a stopover on your way to another Hawaiian island, or for a longer stay like we did, I hope you find these tips helpful to making your stay comfortable and fun with a toddler. Bring the practical items with you, as luggage weight allowance permits, so you are ready to hit the beach on day one and prepared for any urgent needs. Pack any medicines you may need, along with a compact first aid kit, and make sure to bring along beach essentials such as sunscreen, a rash vest, beach shoes and a couple of sunhats. If you have particular brands you prefer to use for your baby or toddler, I’d recommend bringing your own toiletries since the selection at the local shops can be limited. I usually pack in the suitcase several diapers, a couple of swim diapers and a pack of wet wipes, enough to last for the first day and to give us time to settle in before heading over to a shop to stock up. 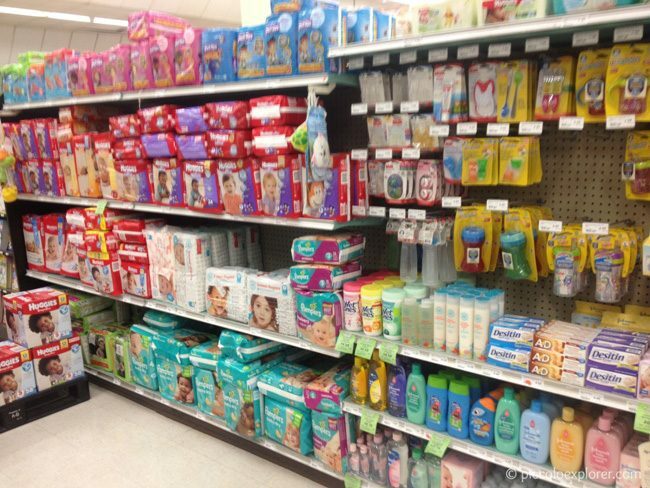 Food Pantry sells a wide selection of diapers and wet wipes. 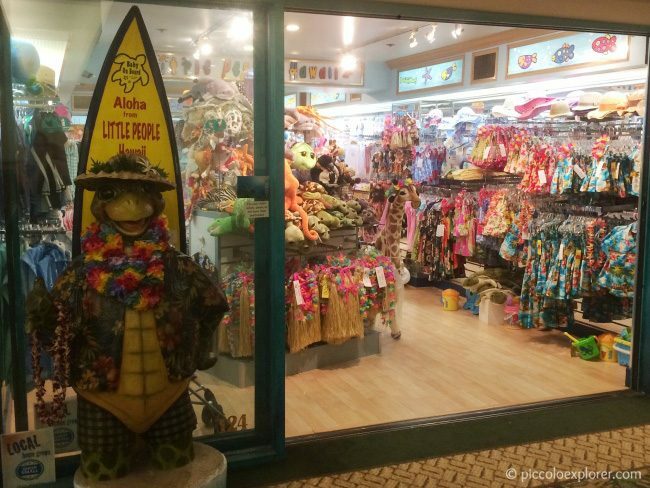 You can find baby and toddler size rash vests and other beach gear at Little People (located in the Outrigger Hotel) and Quicksilver, but you may prefer to shop around at home for better deals. Most ABC Stores have a small household section stocked with sponges, small bottles of washing liquid and laundry detergent. 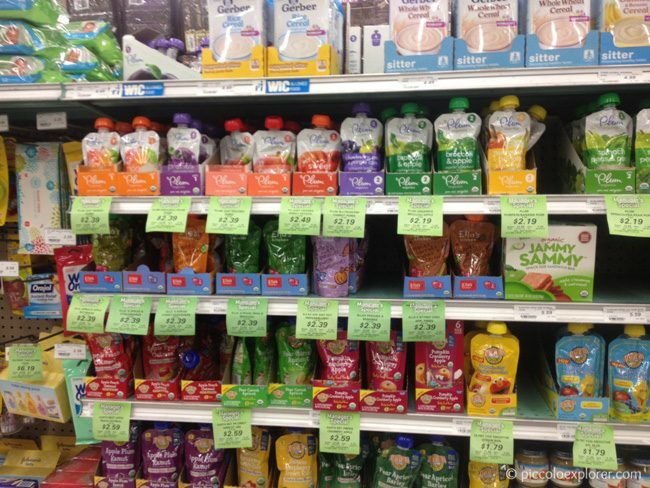 (2) Local grocery store Food Pantry has a good selection of baby and toddler supplies such as diapers, swim diapers, wet wipes, toiletries and snacks. The Food Pantry is located on Kuhio Avenue, a short walk away from the Moana Surfrider and Sheraton Princess Kaiulani. I visited it a few times during our stay to buy bottled water, milk, snacks, diapers, swim diapers and wet wipes. It’s also the most convenient place in the area to shop for toiletries, medicine, cereal, snacks, juice and other groceries and they have a good selection of souvenirs and local food, including an aisle dedicated to macadamia nuts. There are also some hot food counters serving quick meals at the entrance. Being in Waikiki, prices are at a slight premium but I also saw quite a lot of manager’s specials on various products. If you’re staying at a hotel room or condo with a kitchenette and are planning on cooking regularly, you might prefer to drive to Safeway or Foodland, both about 1 to 2 miles away from the main part of Waikiki. For a few purchases here and there during your stay – milk, toothpaste, shampoo, diapers, wet wipes, laundry detergent etc – Food Pantry is easy to get to and also carries a good selection of baby and toddler products, with brands such as Huggies, Pampers, Seventh Generation and The Honest Company. If you’re looking for baby and toddler clothing in Waikiki, Little People has an excellent collection of high quality items made in Hawaii. 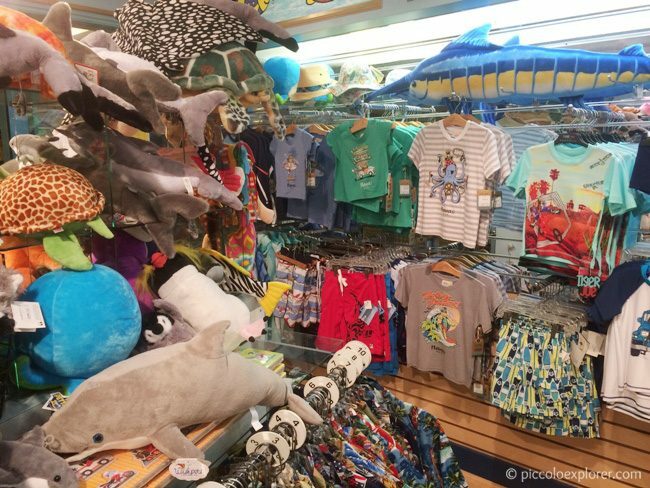 My only regret is not buying more of the adorable aloha shirt and shorts outfits for Little T. You can also find hats, rash vests, swimwear and other beach gear at the shop, along with plenty of Hawaiian themed kids’ souvenirs and toys, from stuffed animals to small cars. 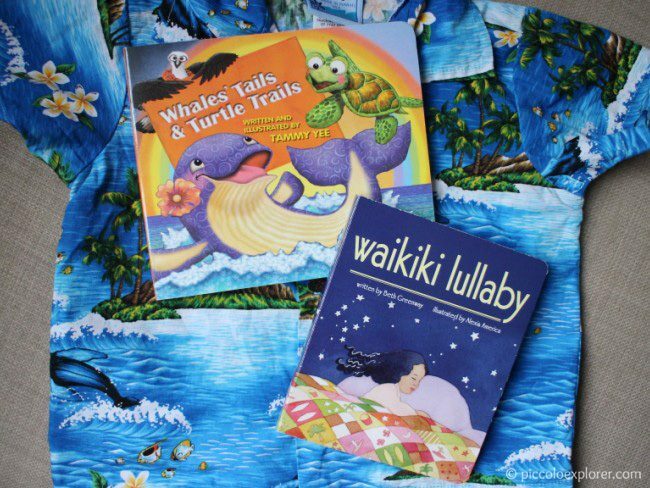 I especially liked the section of children’s books written by Hawaiian authors. I bought a couple of beautifully illustrated board books that we now read every night and they are a lovely reminder of our trip. 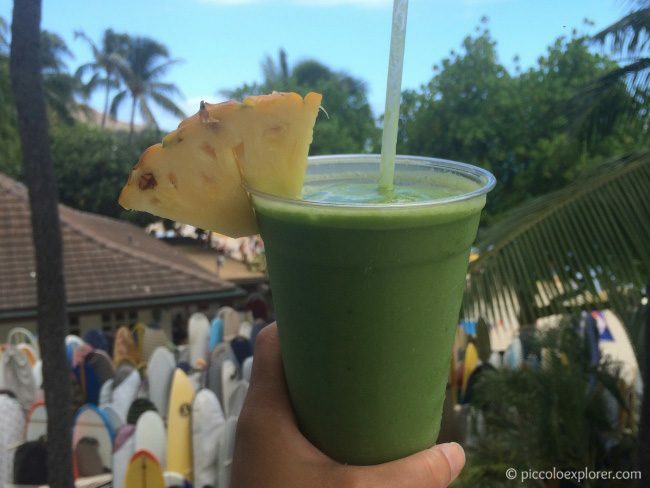 After a few days of not exactly watching what I was eating, I was so happy to come across the Hawaiian Crown Plantation café and shop, just off Kuhio Avenue, for a refreshing and delicious green smoothie made with kale, pineapple, banana and soy milk. 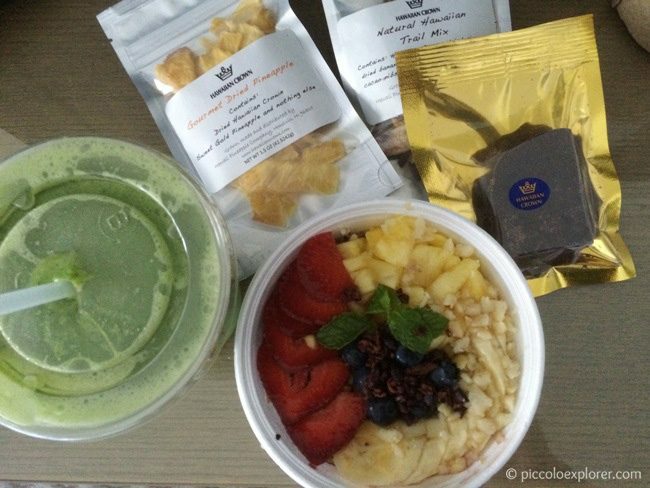 They also make great acai bowls, which I had a couple of times for breakfast or a snack. Little T loves green smoothies, so it was also a good way for him to get some healthy greens that he otherwise wasn’t eating much of during our trip. You’ll also find at the shop an excellent selection of healthy snacks, like dried fruit and trail mix, along with fresh pineapple products, chocolate and coffee all grown locally on Hawaiian Crown’s 7 family farms statewide. Along with excellent smoothies and snacks (and yummy pineapple oatmeal cookies! 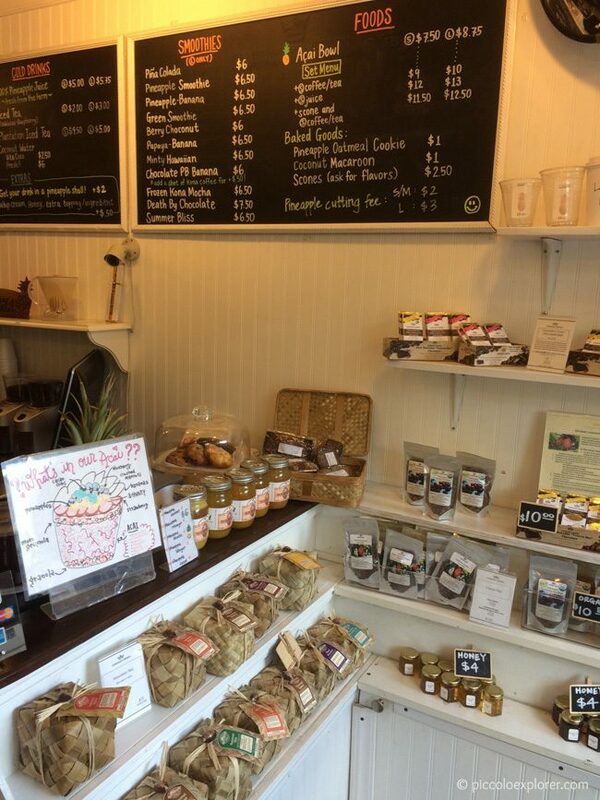 ), there are plenty of food gifts to choose from there. 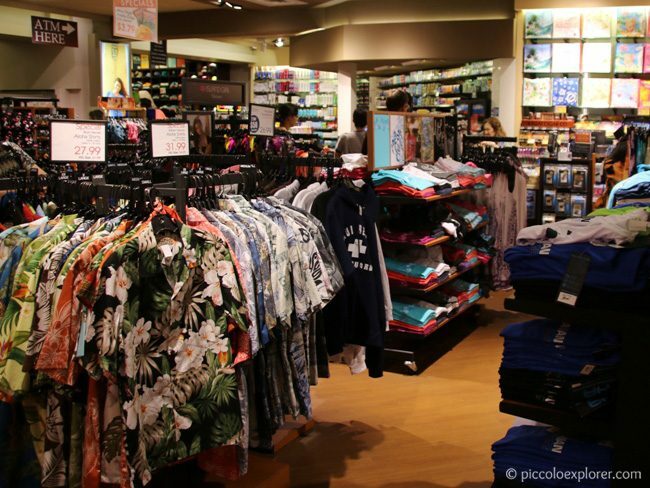 (6) ABC Stores are everywhere in Waikiki and offer basic souvenirs, food and drink and practical essentials. If you’re looking for cheap and cheerful beach toys, towels, inflatable mattresses and rings, the large ABC Stores along Kalakaua Avenue are well stocked and you can have the items inflated for a small fee at the cash register. 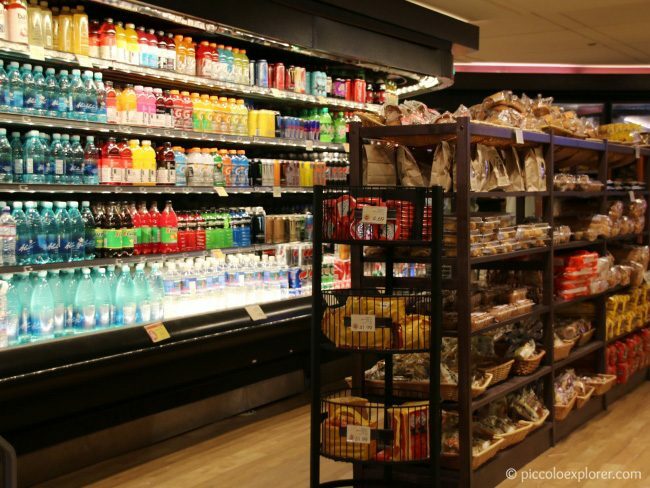 For a quick lunch, most ABC Stores have prepared sandwiches, sushi and salad in their deli sections. Almost all stores are open from 6:30 AM to 1 AM. The Waikiki Aquarium is just the right size for a one hour visit with a toddler, offering a good look at a wide array of fish, coral, sea anemones, jellyfish, seahorses and more in exhibits that highlight the marine communities throughout Hawaii and other parts of the Pacific. There is also an outdoor coral reef exhibit with the typical marine life you’d see snorkeling along Hawaii’s reefs, including parrot fish and sea urchins – and an interactive area with a tide pool, great for little ones, where you can have a close look at a sea urchin and hold a hermit crab in your hand. There are also two monk seals living at the aquarium who were rescued as pups. More photos in Our Visit to the Waikiki Aquarium post. While the Moana Surfrider doesn’t have an on-site creche, we were recommended the Poppins Keiki Kids room located at the Sheraton Waikiki which is the only hotel based drop-in childcare centre for kids 3 months of age and up. Poppins are a Japan-based company and in addition to the kids’ room, they offer fun group activities, educational programs and a babysitting service. Little T had a great time at the kids’ room and I found the employees to be lovely and professional. We would have liked to schedule the babysitting service too but we waited too long and they were fully booked for the last few days we were there, so if you’re interested in booking a babysitter, definitely check their availability as soon as possible to get a date in the diary. We don’t often have good photos taken of the three of us, and a professional photo session booked through the Moana ended up being the perfect souvenir of the trip. 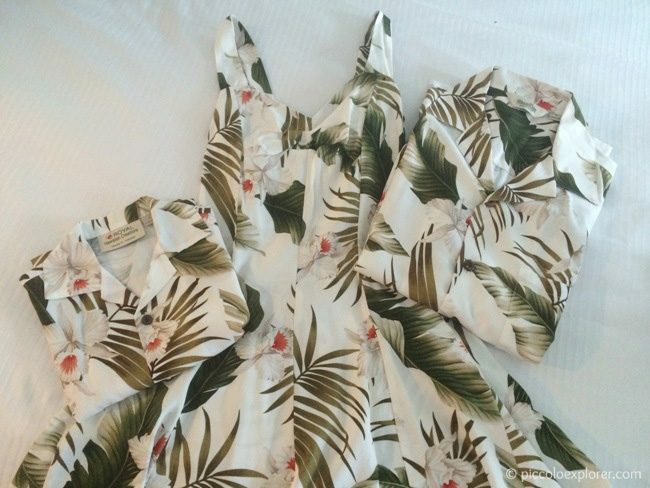 We thought about what we were going to wear and, cheesy as it may sound, decided on matching aloha style outfits. We had a look around the Waikiki area and it was difficult to find a matching look for a toddler and adults and anything we did find we weren’t particularly happy with the look or the colors. Just in time, though, we found Hilo Hattie at the Ala Moana Center and they have an excellent selection of clothing of all sizes. There were plenty of dress styles to choose from for every body type and a good selection of colors and designs to match your style. I ended up with a retro style dress that I absolutely love. Little T and Mr G looked great in their matching aloha shirts (which they wore with khaki shorts) and we went a size up for Little T so he could still wear his shirt next summer. I’d highly recommend visiting Hilo Hattie if you’re looking for a great selection of aloha wear across all sizes, including baby and toddler. 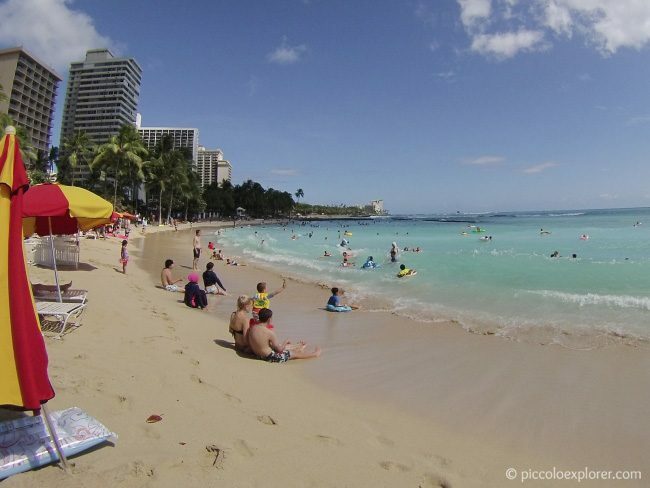 Kuhio Beach is located between the Moana Surfrider and the Kapahulu Groin and is also where you’ll find the Duke Kahanamoku Statue on the boardwalk. The beach is in an area protected from the surf by a break wall, making it a safe spot for swimming. There are umbrellas and loungers available to rent and nearby toilets and showers. There’s a big ABC store across the road for drinks, snacks and beach gear. 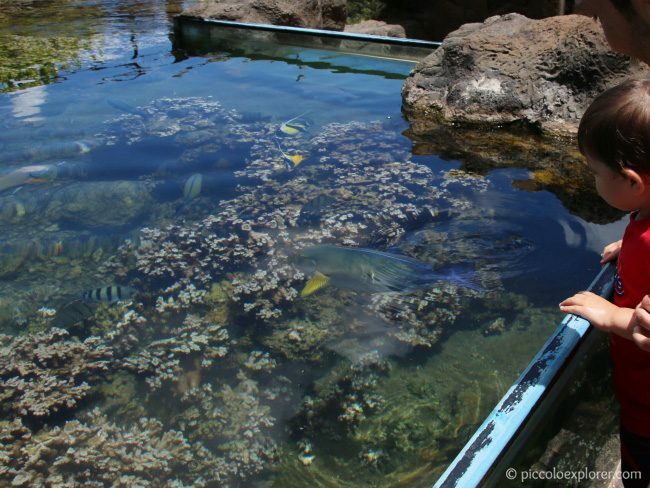 The Honolulu Zoo and Waikiki Aquarium are only a 10 to 15 minute walk away. We are heading to Oahu in TWO weeks! We visit Oahu every 2 to 3 years but haven’t been to the aquarium. Great suggestions! Thanks for stopping by! 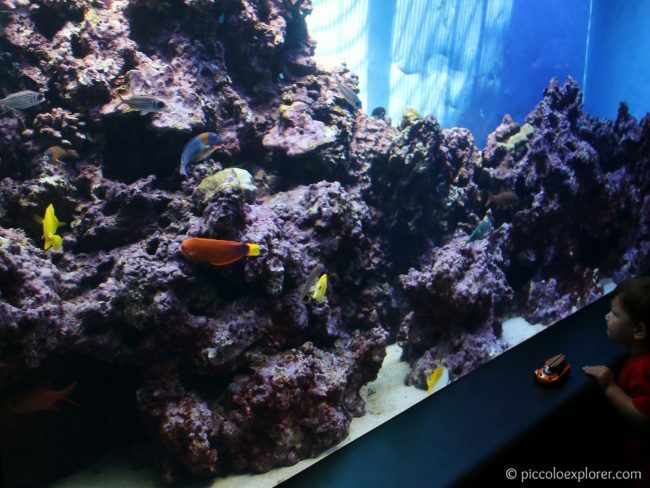 The aquarium is small and takes an hour or less to visit – it was perfect for walking around with a toddler. Have a wonderful time on your trip – I look forward to your photos! Thanks for stopping by! The Little People store is fantastic, so much great stuff there. Such a great and useful post! The tip for bringing enough supplies for the first day is a great idea! Thanks for stopping by! It’s helped us so we’re not spending our first moments at a place rushing around looking for stuff. The daycare was fantastic – Little T loved it! Hawaii is somewhere I’d love to go – I like the idea of getting veggies into a holiday diet with juices too.